Today’s a big day. I’m going to eat myself silly tonight as my wife and I celebrate our 7 year anniversary. Of course, we have to celebrate it tonight since our official anniversary is Sunday. But c’mon, you know the rules. Each year for our anniversary, we head over to this Fondue place called “The Melting Pot”. My favorite part is the cheese. Wisconsin, I don’t know what you do with your cows, but bless you sir. Your cheese melted with garlic rocks my socks off. But every year, that was the beginning of a big downfall. From there, I would have this mindset of “Ohhh, it’s Christmas season… a few pounds won’t hurt”, and then I would continue making poor choices. And because of those choices, I even cut back on my workouts because I “didn’t have time”. Shamefully, one year, I gained 18 pounds in just about 7 weeks. Maybe you didn’t know this about me, but I can actually gain weight rather easily. But I don’t allow that as an excuse. Now that the Christmas parties (and anniversary) are in full swing, I typically go to a daily 16/8 fast or I transition to two 24-hour fasts per week to keep off my 105 pounds, even during the holidays. With that approach and these workouts, you’ll be able to keep your weight at bay too, even during the busy holiday season. And then when everyone and their brother all of a sudden show up to the gym in January (you know who they are), you can just stay home and use Craig’s Burn Fat At Home System. But just like my anniversary dinner tonight, all great things come to an end. You’re going to need this system to avoid the New Year crowd rush. You already know these people will show up in January and then disappear in February after doing weeks of long, boring cardio like guinea pigs and end up gaining weight. 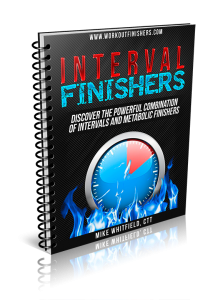 Unlike you, they won’t have the secret to powerful, yet short metabolic workouts that you can do at home without the crowds at the gym.